The 28th was a maintenance day. Getting laundry done and whatnot. We also made a quick tip to Cycle Gear for a couple of items. We stopped for a small snack, and shared very good Bar-B-Qued ribs, fries and a sandwich. It turned out the snack was bigger than we anticipated. Or maybe it was the two beers. On the 29th we spent the afternoon at the Univ. of Texas - Harry Ransom Center, where Jerry is the Carl and Lily Pforzheimer Curator of Early Books & Manuscripts. Kate is involved with the conservation of materials in Harry Ransom Center. So, we got to see some pretty old and valuable books, photographs and clothing, and learn about how they are conserved, repaired and restored. The visit was fun and interesting. We had a great behind the scenes tour that most people would not be privileged to have. I do have some interesting pictures of antiquarian books, such as a Gutenberg Bible, the Nürnberg Chronicles, and first editions of James Joyce’s Ulysses, and on and on. However, I cannot post the pictures on social media, as per agreement with UT Harry Ransom Center. So, you’ll need to take my word for it. This I can show on Social Media. The 307-foot tall UT Austin Tower, designed by Paul Cret of Philadelphia, was completed in 1937. Through the years, the Tower has served as the University's most distinguishing landmark and as a symbol of academic excellence and personal opportunity. Today is Judith’s birthday. We’re going out somewhere this evening – don’t know where yet. It’s Jerry and Kate’s surprise. This morning I replaced the broken Auxiliary Light front housing and the missing rear turn signal and lubed Judith’s chain. Very easy work, but I sure worked up a sweat in the heat and humidity – ugh! My buddy Ron Fish told me about a place called Doc’s Motorworks Bar & Grill in Austin that looked to be a biker hangout. There are three in Austin as it turns out. One was within a mile of us, so we went there for a beer this afternoon. This one didn’t seem to be too biker hang out like, but the beer was good. Actually, Texas has a good number of microbreweries and many of them are rather tasty. Lots of variations of IPA’s, which I used to like a lot, but not so much now. 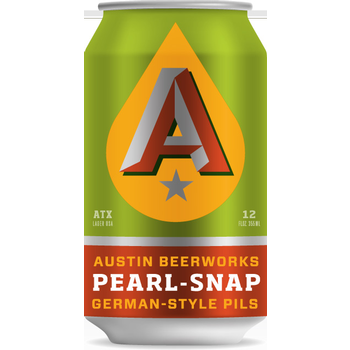 We found a German style Pilsner that is nice – Pearl Snap Pils from Austin Beer Works. The surprise place for dinner was Bess Bistro in Austin. Sandra Bullock owns the restaurant, and it is not just another celebrity restaurant. This one is very successful and deservedly so. The food is superb and the service is very good and entertaining – although we were sure if it was intended to be as entertaining as it turned out. It was an unintended Dinner Theater evening. Sorry, but this is long, but please suffer through with me. Allow me to recap the show (although I don’t know if I can do it justice). Our waiter, John, asked if we would like something to drink. Since it was Judith’s birthday we had decided that a glass of bubbly would be appropriate (actually any of us will find some excuse for a glass or two of bubbly, it’s just that a birthday is a particularly good reason). The last time Jerry and Kate were at Bess Bistro there was a Happy Hour special on bubbly and Jerry asked what it was this night. “Well”, says John with all authority and resolve, “that is only offered at the bar, the outside seating and in the bistro area.” We were seated in the dinning room (of the Bess Bistro), so I assumed we were in the bistro. Not so it turns out. There is a different seating area called the bistro. My idea was to simply walk over to the bar, which was no more than five paces away, and order whatever the bubbly happy hour special was and then returns to the table. However, being a foreigner and all, I decided we would just get 86’d out of the place if I did so, plus embarrass Jerry, Kate and Judith, as well as go hungry. So, at John’s recommendation I ordered a bottle of something or another (I can’t recall the name, but it was quite good by the way) and John scampered off to fetch the bubbly. While we were enjoying our bubbly John brought bread, butter and three small dishes containing different salts. With the aplomb of a Julliard trained actor, he proceeded to explain each of the breads (which came from their sister establishment that is open for breakfast, lunch and early dinner), the unsalted butter and the three salts – Black Lava Salt, Himalayan Pink Salt and Maldon Sea Salt from Great Britain – just in case someone would like their butter salted. And, once again, the reaction around the table was echoed as before. We were starting to sense a pattern and slowly realized we had unintentionally stumbled into a dinner theater – somewhat akin to Theater of the Absurd. We decided to go with the flow, thus becoming a little absurd ourselves. Shortly after this realization I left the table for the Men’s Room. Upon my return John was back at the table and informed me in a slightly stern tone that while I was gone the remainder of the party had ordered salads to share. “Oh great”, I said, “What kind of salads?” The thespian was back on stage with his rejoinder. The menu was difficult in the sense that each entrée sounded terrific, and this our made decisions thought provoking. Judith found a nice Ricotta Risotto, which entirely satisfied her vegetarian diet. I decided on Day Boat Sea Scallops. Jerry and Kate were back and forth over the Risotto and Duck, but decided to order one of each and share. He insisted that it was requisite hear about some subtle, but significant adaptations of two of the dishes not shown on the menu for the evening – the Piedmont Sirloin and the Risotto. First, another beautifully presented soliloquy about the Piedmont Sirloin. Piedmont steers origins are Italy, large and beauty muscled, blah, blah, however these Piedmont steers are corn feed (organic corn mind you) in Nebraska. There was some other possibility of how the sirloin was served, but it was so complex I cannot for the life of me remember how. Next was a variation of the risotto that I cannot recall either. John said he would give us a few minutes to decide and scampered off to waiter world. I was anticipating for the Jeopardy Theme to start playing while we were deciding. When time was up, John returned to eagerly receive our instructions. Jerry, Kate and Judith ordered. When my turn came I was fully into my Theater of the Absurd character and promptly, with my most serious declaration, instructed John that I would like a special preparation of the Piedmont Sirloin on a bed of Ricotta Risotto special. Jerry practically snorted bubbly out of his nose, Judith and Kate held their napkins up to their faces to stifle the laughing and John, well, he was appalled and couldn’t say a word. Recognizing how much disbelief John was suffering. I immediately told him I was only joking and ordered Day Boat Scallops. “Very good choice!”, stammered John and ran off to the kitchen. Somewhere in all of this our salads arrived, and they were wonderful. We were trying to figure out what type one of the greens was in one of the salads. When John came by to gather up the empty plates, Kate asked him what the greens were in the stated salad. She suspected that the greens are what is called Rocket in the UK and some parts of Europe and Arugula elsewhere. John proceeded to disclose to us the origins from an organic farm where the ingredients of the salads are grown. We listened with all deliberation, and asked appropriate silly questions, but finally said to John that what we essentially wanted to know is what are these damn greens. He didn’t know – shock! He promised to find out and quickly disappeared. Back in a flash, John announced that indeed, Kate was correct – Rocket, AKA Arugula. Cheers all around. Once the entrées arrived everything got serious. They were simply delicious. All of the nonsense stopped and we ate. After the entrées were devoured John brought Judith a complimentary Birthday Desert consisting of four beignets. We all felt this was a very well-appreciated and enjoyable gesture. We decided that we needed to have a picture of John and Judith together to immortalize the wonderful fun and entertaining evening, as well as the tremendous meals. All of the craziness at Bess Bistro made for a truly fun and memorable Birthday Evening for Judith. Oh, and the rest of us as well. We came out to a beautiful sunset.